A study from the JAMA Pediatrics has released fascinating findings on how feeding your baby through breastfeeding and formula feeding changes your baby's stomach bacteria. By now, most of us know that what you feed your baby matters. In fact, there's been a lot of research done lately on how specifically feeding and how your baby was delivered (either vaginally or by a C-section) impacts exactly what bacteria live in your baby's digestive tract. In short, babies that are fed only formula have much different bacteria in their stomach and intestines than babies that are breastfed. And babies that are born vaginally have very different bacteria inside of them than babies that are born through a C-section. Because we already know that different types of delivery and feeding types change a baby's stomach and intestinal bacteria, this study wanted to look at something else, something that many other researchers have apparently overlooked: that many babies are fed a combination of breast milk and formula. I mean, can you say hashtag real life? Exclusive breastfeeding isn't always a reality for many moms, due to different circumstances, such as low milk supply, postpartum complications like mastitis, work and childcare schedules, and maybe even the hope to get a little sleep, am I right moms? So this study specifically looked at what's going on with the bacteria in the guts of babies who have both breast milk and formula. And essentially, what they found is that the bacterial community of a baby that has even a little bit of formula looks pretty much the same as a baby that only eats formula. It's almost like you could say the formula-fed bacteria trumps any breast milk bacteria. Well, right now, it's nothing that we need to rush out and panic about. The whole field of the role that our body's bacteria plays in our overall health is one that we are still learning a lot about. It's tempting to wring our hands and look at this research as something that says, "Oh my gosh, formula feeding is SO awful!" but the truth is, we just don't know all the answers yet. 1. Being born via a C-section or vaginally changes what bacteria make their way into a baby's gut. 2. A baby's bacteria will be different depending on if he or she has formula or breast milk. 3. A baby that receives formula supplementation has a bacterial make-up that is pretty much the same as a baby that drinks all formula. 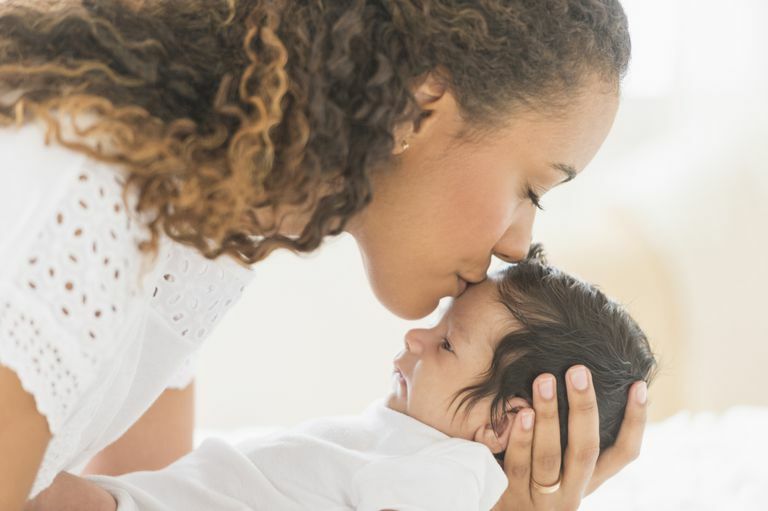 These are the fact that we know, but what we don't know is how those different bacteria affect a baby's health and his or her long-term health into adulthood. So for right now, all we have to focus on is to do the best we can as parents and keep up with the latest research that will help us make the best choices for our family. Madan. J.C., Hoen, A.G, Lundgren, S.N., Farzan, S.F., Cottingham, K.L., Morrison, H.G., Sogin, M.L., Li, H., Moore, J., Karagas, M.R., (2016, January 11). Association of Cesarean Delivery and Formula Supplementation With the Intestinal Microbiome of 6-Week-Old Infants. Journal of American Medical Association Pediatrics. Nue, J., & Rushing, J. (2011, June). Cesarean versus Vaginal Delivery: Long-term infant outcomes and the Hygiene Hypothesis. Clinical Perinatology, 38(2): 321–331. Is It OK to Mix Breast Milk And Formula In the Same Bottle?